Solutions Expand in Europe and Latin America with Orange M2M communications. At the 2012 mHealth Summit in Washington, D.C., Toronto-based remote health provider Ideal Life announced that it has chosen Orange Business Services to expand its remote monitoring solutions for wellness and chronic conditions to an international audience. Orange will provide seamless machine to machine (M2M) wireless connectivity for Ideal Life in Europe and Latin America, promoting comprehensive remote care to the home and preventing non-critical re-admissions of patients to hospitals. “As an established and comprehensive provider of global M2M solutions, Orange Business Services provides us with the perfect platform to deliver our remote health monitoring services to a greater number of caregivers and insurance providers from around the world,” said Harvey Goldberg, CEO of Ideal Life. Ideal Life will be offering new medical hubs containing Orange SIM cards. These hubs will reside in the home, collecting data from a variety of health-related devices, from blood pressure monitors to glucose, oxygen saturation and heart rate meters. Once collected, this information is transmitted in real time over the Orange network to physicians who can access it using a variety of devices such as tablets, smartphones and traditional PCs. The application can also format the data into a standardized EMR, improving compliance with recent legislation requiring such records. For more than a decade, Orange has gained substantial experience in providing integrated and customer centered technology solutions for health professionals, health providers and patients. This has been done through close collaboration with health professionals and providers – ensuring that the technology brings improved quality and efficiency for all. In 2007 Orange signaled its commitment to the health sector with the creation of Orange Healthcare, its new Health Division. On the strength of its position as an integrated services operator, Orange has technological know-how to be able to develop solutions which are not only simple, reliable and effective for medical and personal care services, but which also contribute to bringing innovation to patients and an enhanced experience in managing their health and illnesses. New technologies will play an essential role in the modernization and improvement of health care, in the hospital, local clinics and surgeries and in the home. Orange can provide the technology to meet the needs of all stakeholders in the health sector – professionals, managers and IT administrators, patients and public and private health providers. 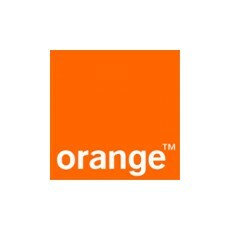 Orange has unrivalled access to the resources of the France Telecom group with leading edge R&D as well as unparalleled commitment to wellness, e-health and improving efficiency and return on e-health technology investment. Ideal Life, the industry leader in remote health management solutions, has created an innovative platform that addresses many of today’s most challenging and costly healthcare issues. Guided by a medical advisory panel of experts, the Ideal Life program makes proactive prevention more realistic than ever as it is instrumental in gauging health issues before chronic conditions manifest themselves into acute events. For people managing chronic conditions such as congestive heart failure, hypertension, diabetes, asthma or obesity, Ideal Life provides relevant, real-time, reliable and actionable data from a person either at home or while on the go. It delivers interactive, personalized communication to incorporate feedback to the knowledge base, allowing individuals to become more engaged and active participants in their own health. The easy-to-use Ideal Life system utilizes digital, wireless, secure two-way communication, allowing for a more personalized and cost-effective wellness experience. The FDA-cleared and HIPAA-compliant products have, for example, been proven to reduce congestive heart failure hospital admissions by 57 percent, demonstrating they can significantly reduce healthcare costs. For more information, visit www.ideallifeonline.com.